Digmaster offers significant productivity gains without the complexity of GPS positioning solutions and can be simply installed by a skilled technician. 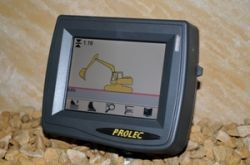 It ensures accurate grade control for excavators and backhoes, when referenced to a known point, and is capable of working to accuracies of 2cm to the bucket teeth. This information is displayed to the driver via the graphical user interface in the cab. With real-time and depth information displayed to the operator, work can be completed quickly and accurately with minimal supervision. This, in turn, reduces the need for grade checkers and results in less staking. Productivity savings can be as high as 50% depending on application. A variant with GPS slew option, called Digmaster X, is offered to enhance productivity further. It allows operators to slew around a known reference without the need to constantly re-orient their machines. 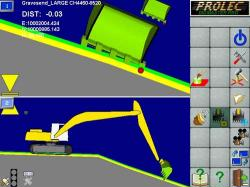 Digmaster Pro can be run as a 2D or 3D guidance product and offers full functionality and scalability. It is simple and inexpensive to upgrade from 2D to 3D at any time. The system brings your job into the cab. 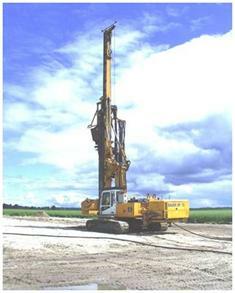 A digital terrain model (DTM) or digital site design of the project is uploaded into a computer and displayed to the operator while the 3D machine guidance system uses precision sensors to monitor the position of the bucket or blade to give precise digging control. With the addition of a positioning sensor, such as GNSS, the 3D machine guidance system's position is shown accurately (in real time) within the design model. This ensures that operators know exactly what they need to do and where they are on the jobsite. Using a simplified operation, this system guides piling and drilling contractors to the correct alignment of the pile/drill head. 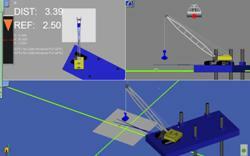 A simple light system guides the operator to "true" and allows accurate placement of piles.